Two bits of good news came for the new EU Member States on 30 May, when the European Commission presented its assessments of the countries` budgetary and economic policies and recommendations on them - the abrogation of the excessive deficit procedure against Bulgaria and the repeal of sanctions imposed on Hungary. It would be too hasty and wrong, however, to meet these pieces of news with a sense of relief. There is no time for fanfares because the big problems remain unsolved, as is evident from the Commission`s recommendations for almost all countries. left the way it came – it seems more like a result of moving figures from one column (drawer) to other, rather than of a purposeful and forward-looking fiscal policy. Why did I mention the drawers? Do you remember how the deficit appeared - in April 2010 the government surprisingly announced that the deficit for 2009 will not be -1.9% but -3.7%, because in some drawers in various ministries some contract annexes for a lot of money were found. On top of that, the final data by Eurostat showed an even bigger deficit: -3.9%. One month later it appeared that the 2010 Budged will be revised, in order to legitimise the huge deficit, as some economists said. The revision also provided for filling the budget gap in with money from the fiscal reserve - the IMF warned recently that this should not be done anymore, but ways should be sought to increase the reserve. Meanwhile, it appeared that no one in Brussels had any idea why Bulgaria was revising its budget plan for 2010 from a balanced budget to deficit, moreover excessive. Then, EU Economic and Monetary Affairs Commissioner Olli Rehn expressed doubt in Bulgarian statistics which, given the freshly revealed Greek statistical frauds, sounded both shamefully and threatening. The story became comically absurd when it appeared that in fact the public expression of doubt was Commissioner Rehn`s last resort to exert pressure on Bulgaria to provide all the relevant information. Obviously, the pressure worked because all files and papers were brought to Brussels immediately and personally by the minister of finance, a Commission official told euinside then. Another both funny and ridiculous detail about the abrogation of the excessive deficit procedure is that the ruling party GERB announced the news a year earlier - in January 2011. Then in fact, within the routine evaluation of the procedure, the European Commission said that no additional steps by Brussels were required as the country had taken the necessary measures to correct the excessive deficit within the time limits set by the Council. Ultimately quite logically and expectedly, given that the country's deficit for 2011 is less than 3% of GDP, on 30 May the EC announced that it was proposing to the Council to abrogate the excessive deficit procedure for Bulgaria. 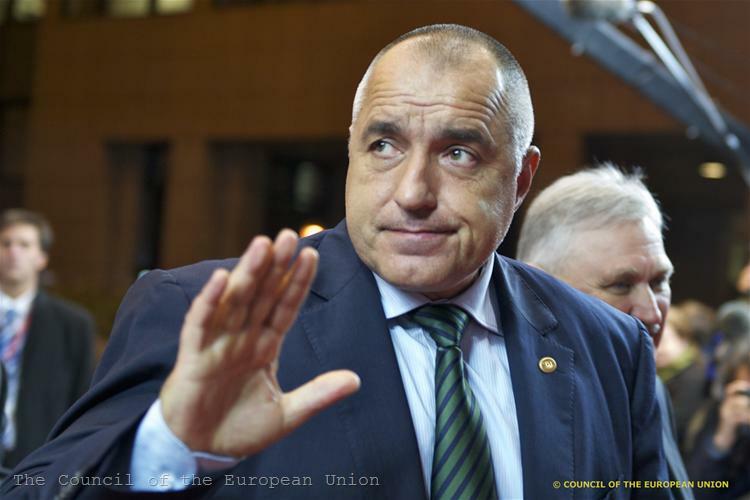 And since the same decision was taken also for Germany, Prime Minister Boyko Borissov hastened to comment on how the news, that we were in the same group with Germany, echoed around the world. If the prime minister and the finance minister had spent more time to read the Commission`s recommendation to Bulgaria and the in-depth accompanying analysis (read more here) they should have said quite different things. For example, how are they going to deal with the risks to fiscal consolidation arising from the reduced budget revenue, compared to pre-crisis period, the inefficiency of public spending and huge costs for pensions and health care. Or to explain why the great words do not overlap with great actions, as the Commission has noticed. For example, despite the increase in retirement age, the Commission describes the Bulgarian pension reform as follows: "The planned reforms are a step in the right direction, but the changes are insufficiently ambitious, as they fall short in reducing early retirement." Moreover, although the requirement for length of service for the police and army personnel was increased by 2 years, their retirement age remains unaffected. This has been repeatedly stated both by Brussels and by domestic economists and analysts. However, the dogs bark but the caravan goes on. Speaking of pension reform, let me tell you about Hungary because its budget deficit drama is directly related to the topic. In the autumn of 2010, when Bulgarian government announced that it would transfer 100 million levs (approx. 50 million euros) collected in occupational pension to the national social security fund, Hungary's government directly nationalised the private pension schemes thus topping the budget hole. As a result, a long dispute started between Budapest and the European Commission - Hungary was arguing that it had reduced the deficit and even ended 2011 with a surplus of 3.6%, so the excessive deficit procedure should be abrogated. 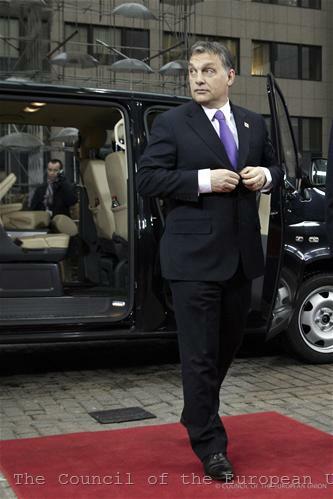 The country has been in an EDP since it joined the EU in 2004, which is a record for the union. Brussels, in turn, was arguing that it was a one-off and cosmetic measure with only short-term effect and as early as 2013 the budget deficit would exceed again the limit of 3%. Therefore, the EC was urging the country to take measures to ensure sustainable deficit reduction. And since Hungary did nothing about it, on 13 March 2012 the EU finance ministers approved the Commission proposal Hungary to be sanctioned by suspending 495 million euros of Cohesion Fund commitments from 1 January 1 2013. To avoid actual loss of funds, the country had to present measures to correct (in a sustainable manner) its excessive deficit by the end of 2012. Obviously this time Budapest got really startled, because the required measures were presented to the Commission. According to the evaluation of Brussels, though the envisaged fiscal consolidation is somewhat lower than recommended by the Council it could be accepted that the recommendation has been met, given the projected economic downturn and expected lower revenue. The Commission recommends the government to seek opportunities for additional revenue. There is some progress on strengthening fiscal governance, but important reforms are still to be designed and adopted before the end of the spring session of Parliament. The Commission recommends the new budget rules with specific numbers to be included in a binding mid-term framework and to increase transparency of public finances. It warns that in the light of the prolonged history of the excessive deficit procedure, the Commission will continue to closely monitor the country and if at any moment in time the action taken is proving inadequate the EC will recommend to the Council to impose new sanctions. 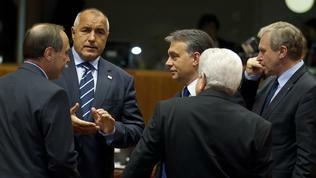 Why did I focus precisely on Bulgaria and Hungary of all the new member states? Because they are an eloquent example of how the attempt to circumvent, mask or delay problems in time returns as a boomerang and has lasting negative consequences for the countries. Yes, in the case of Bulgaria the deficit is reduced, the procedure is terminated and financial stability is set in place. The main question, however, is: for how long. Because it is no more possible to rummage in the fiscal reserve but real ways must be found to reduce costs and set the economy moving. Moreover, cutting spending should not be following to the principle “little cuts everywhere”, but to follow a targeted policy to promote economic growth, which, as explicitly stated by the Commission, means investing in education, science and innovation. There is another similarity between the two countries - the manner of governing. 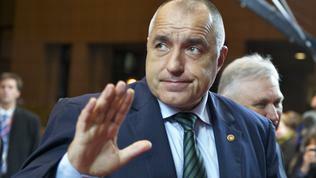 Often the style of Victor Orban and Boyko Borissov is defined as authoritarian and populist, in both countries parliaments have lost their character and have turned into a function of the executive, and the ruling parties Fidesz and GERB do not feel shy to use any means to secure their electoral and media comfort in order to stay in power. Maybe the main difference is that while Viktor Orban is trying to win people's love, opposing to Brussels, Boyko Borissov does the opposite, showing (at least in front of television cameras) his devotion and gratitude to the EU. But, as is evident, both approaches do not work. Neither Orban`s resistance could save his country from bankruptcy and ensure another election victory for him nor Bulgarian fawning. Because the goal is not to obtain a good estimate of Brussels, be it for the economic policy or justice and home affairs, where Bulgaria is under the Commission’s monitoring and Hungary is subjected to infringement procedures. Neither the goal is to impress the voters before the next election. The goal is ultimately to create good living conditions for citizens, which means rule of law and functioning economy. Yes, you will say, but why does the Commission do nothing, are they so naive not to see what is going on. The expectation that someone in Brussels will wave the magic wand (or the stick) and will fix things in our country has existed in Bulgaria for already five years, ever since it became a EU member. And since it does not happen, many feel disappointed and doubt the benefits of EU membership. But the situation is no longer the same. Though I am convinced that the idea has never been (and should not be) the European Commission to become a watchman of naughty member states, the crisis showed otherwise. And there has already been created (and more is to come) a legal basis for control and moreover to punish those who violate the rules. So dodging will no longer remain unpunished, at least by Brussels. Whereas even in countries with faltering democracy it becomes clear that the final and most serious penalty must come from elsewhere - from the voters.